The Dryden Watch Company is a new venture out of Kansas City. The brand’s founder, Jerry, is a professional photographer whose been snapping gorgeous shots of amazing watches for quite some time (check out his personal IG account @goldenhourtime to bask in all their glory). I had the good fortune to meet Jerry in New York last November at Korean BBQ with some other watch nerds, where not a small amount of alcohol was consumed. 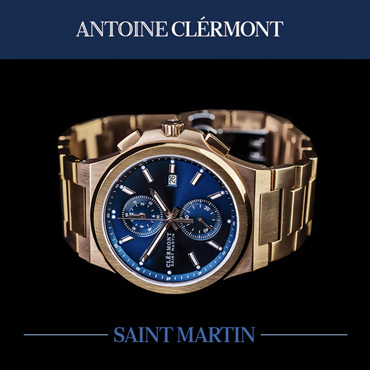 He’s a humble, somewhat reserved man who has a clear passion for the watches he has created. After taking photos for some other quite well-known brands for years, he wanted to create a watch (and a brand) that attempted to straddle the mass market-microbrand gap. While I can assure you there is much more to come (including a design with a dial color that is unbelievably beautiful), the Chrono Diver is the brand’s first entry into what we can probably describe as the dangerously saturated, but always exciting, affordable watch market. While the Chrono Diver is available in a wide variety of bezel and dial configurations, Jerry sent me arguably the most traditional: Reverse panda, black bezel insert, stainless steel case. A simplistic evaluation of the watch at a glance suggests a cross between a Heuer Autavia and a broad arrow Omega Speedmaster—which make sense as the brand drew inspiration from designs of that era. But digging in deeper, the watch reveals itself to be much more. The Dryden Chrono Diver clocks in at a reasonable 42mm in diameter, 13.5mm in height, and with a lug-to-lug of 49mm. It’s on the bigger side of medium, but the case never feels bulky or untenable on the wrist, partially due to lovely 22mm lugs that curve down, ending below the case for a nice snug fit. An elegant polished chamfer widens from the bezel to lug tip, adding a bit of class to an otherwise decidedly sporty watch. On the side of the case, the screw-down crown is emblazoned with the company’s “D” logo, and the pump-style pushers function with a satisfying click. I really enjoy the matte black 60-minute bezel insert, though I will say that the coin-edge bezel itself is somewhat tough to operate; by no means was it unworkable—I could rotate it while it was on my wrist—but certainly, more effort is required than would be ideal. I’d put this down to the tension ring, and not any external design flaw. Flipping the watch over, a solid screw-down caseback is graced with the image of a sailboat, plus some obligatory branding text on the periphery, including the watches official designation “DCD-01”. The screw-down crown and caseback allow for 100m water resistance, fine for a casual swim or wading into the Atlantic, but hardly enough for a true dive—I’d keep this one off the wrist during your exploratory shipwreck dives and any deep-sea fishing adventures. If, like me, you don’t do those things, you’ve no need to worry, as 100m will cover you for the more mundane water activities life has to offer. Returning to the public side of the watch, the Chrono Diver features a sapphire crystal, through which can be seen the glossy black dial (I’ve also had a chance to handle the blue dial, blue bezel with vintage lume, which is just stunning; and the blue dial, steel bezel, with orange-tipped chronograph hand has caught my eye as well). A tachymetre scale surrounds white trapezoidal indices and the minute track, with the Dryden name at 12 o’clock and “Chronograph” printed in (very) small lettering immediately below. Increasing the size of the dial text very slightly wouldn’t have harmed the overall look of the watch. The broad arrow handset provides a vintage touch and is treated with SuperLuminova. While the lume isn’t the brightest and doesn’t charge quite as quickly as other watches, it’s certainly adequate and outperforms others at this price point. White subdials appear at 3, 6, and 9 o’clock displaying 24 hours, running seconds, and chronograph minutes, respectively. A very subtle but much-appreciated touch is the rounded cutouts for the subdials and date window (as opposed to brutish sharp edges). Such design choices are a testament to a keen eye for details and refinement. As ever, though, I must remark on the 4:30 date window. I don’t like them in general, probably due to how they throw off the balance of a dial. I won’t say it works here, per se, but it’s inoffensive. Because the dial is entirely white and black, the white/black date wheel is less obtrusive, and the aforementioned round-edged window lessens the aesthetic violation. Under the dial is the Seiko VK63 MechaQuartz chronograph movement. It’s a mainstay in this price bracket as it provides the durability and affordability of quartz while offering a sweeping 1/5 second chronograph hand. As with many watch enthusiasts, I tend to avoid quartz movements, a choice that rests upon a very fragile foundation of misinformation and snobbishness. The fact of the matter is that compared to most mechanicals, quartz movements are more accurate, more durable, and perhaps cheaper in the long run (servicing a quartz movement usually involves just swapping the old movement out for a new one). This won’t stop me from avoiding them, but I also don’t want to lie to you and say that my avoidance is based on anything practical. I spoke to Jerry about his decision to use the VK63, mostly interested in the 4:30 date choice. He acknowledged that MechaQuartz is the best option for this price point and that his alternative for a 3-6-9 chronograph is the VK73 which sports a big date at 12 o’clock. There are dial design and production concerns there, but it also pushes a watch’s overall aesthetic towards sporty. As such, I feel the VK63, and it’s 4:30 date, allows the Chrono Diver to maintain its balance of sportiness and elegance, which I think is well worth it. Keeping the Dryden Chrono Diver snugly attached to my wrist for the duration of my time with it were three leather straps. 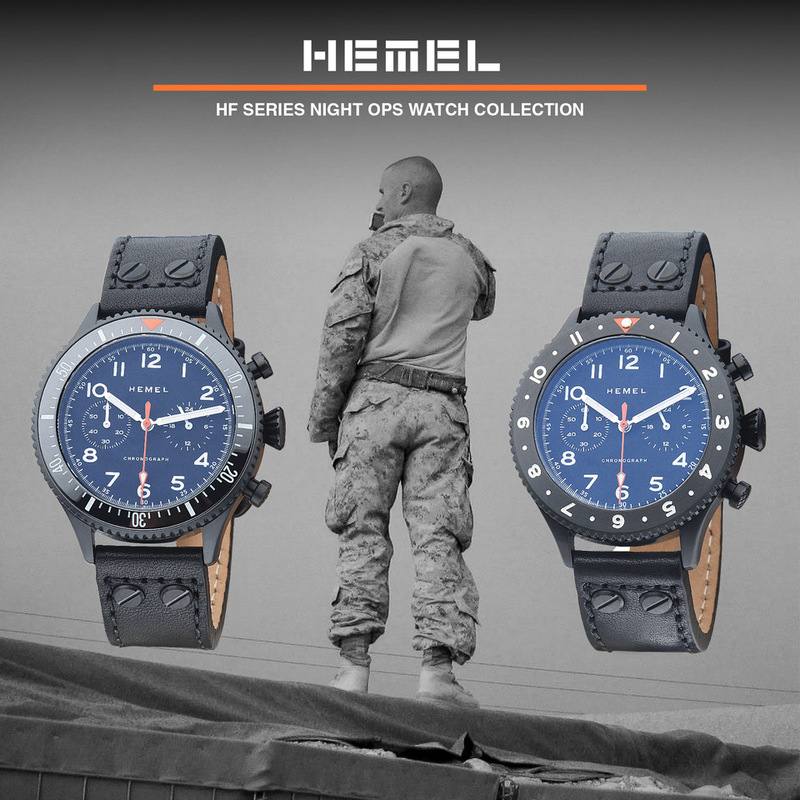 Each watch will ship with one of the standard quick-release straps—tan or black with white vintage style stitching at the lug ends. I preferred the tan, as I feel it lends a more vintage vibe than does the black. These straps can be best described as entry-level leather straps: soft and easy to break in, with great hardware, but by no measure luxurious or top of the line. In addition to one of the standard straps, one can upgrade to a premium leather strap similar in design, with cream thread and added tail stitching; this higher-end strap is a bit stiffer and may be best for those willing to spend the time breaking it in (a group to which I do not belong). I can’t speak for the other Chrono Diver colorways, but the clean black and white of the model I had paired easily with a variety of straps. During my week and a half or so with the watch, I also had it on a Bond-style seatbelt NATO, a green Perlon, and a chestnut brown racing strap, all of which looked excellent. After having the Dryden Watch Company’s Chrono Diver on the wrist for about a week and a half, I can say that I think it’s an excellent first effort. Jerry’s work photographing watches over the years clearly paid off, and he’s created a versatile sports watch with splashes of refinement and elegance. In some cases, you are getting what you pay for: MechaQuartz movement, middle of the road lume, and a stiffer-than-ideal bezel. 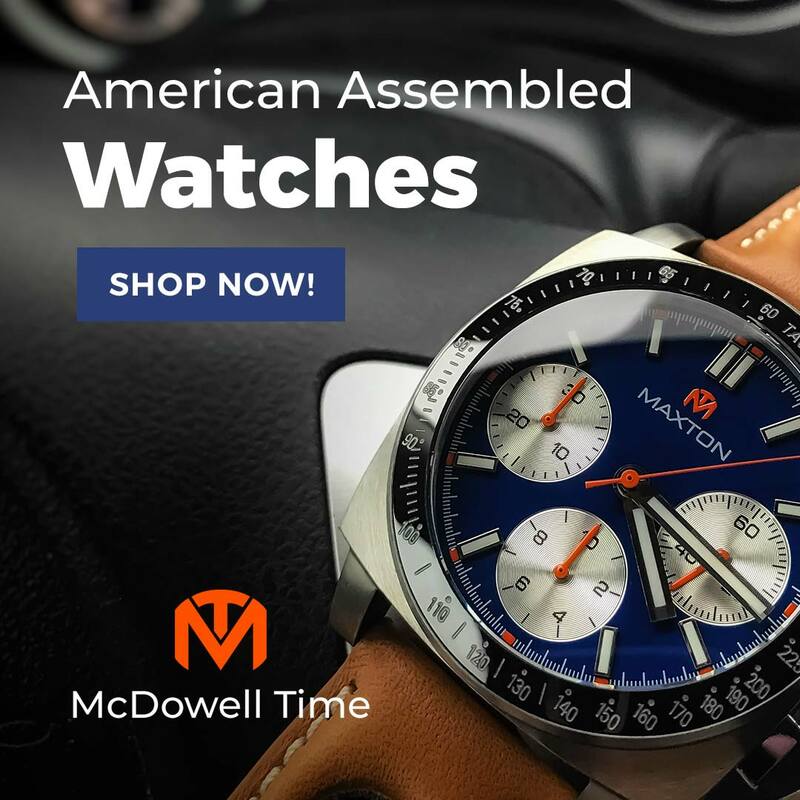 On the other hand, the watch excels with its attention to detail, including the gorgeous chamfered edge along the lugs, the matte bezel insert, and the rounded edges within the dial. On balance, the Chrono Diver is an affordable and eminently wearable sports watch that will be at home in most environments. 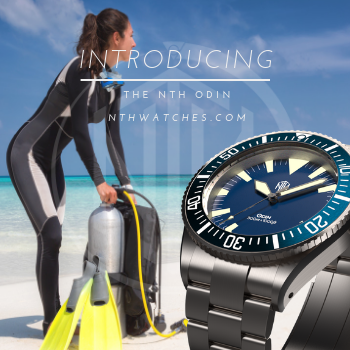 The Dryden Watch Company Chrono Diver will retail for $349 and can be purchased at the company’s website. It’s also available with a white dial with blue subdials (think Omega CK2998), an all-black version (DLC case and yellow hand accents), and three variants with a glossy blue dial (two with blue bezels with vintage or white lume, one with a brushed steel bezel with white lume). To top things off, the watch ships pre-set to the buyer’s time zone and packed in a high-quality three-watch watch roll. If that wasn’t enough, Jerry includes a signed message to the buyer, which, to summarize, says “We care about watches, and we care about you.” Frankly, it’s heartwarming. About the reviewer - Mike Razak became obsessed with watches in 2015 after spending an inordinate amount of time finding the perfect wedding watch (the Frederique Constant Slimline Automatic). He prefers a well-executed date window or none at all and strives for a diverse collection with limited overlap. When not fretting over which watch to wear with which strap, he works as an emergency mental health clinician in Northern Virginia, where he lives with his wife and son.